Gavin graduated from the University of Cape Town in 1989 and commenced his radiological training at the Groote Schuur Hospital in Cape Town in 1994. In 1999 he moved with his family to Western Australia and completed his radiological training at Sir Charles Gairdner Hospital. 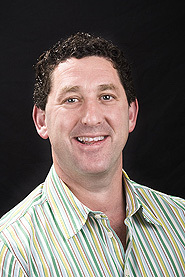 In 2000 he completed a neuroradiology fellowship at Sir Charles Gairdner Hospital. In 2001 he joined Perth Radiological Clinic and became a Partner in that same year. He is currently the Managing Partner at Perth Radiological Clinic and Consultant Radiologist at Sir Charles Gairdner Hospital. ENT and neuroradiology, maxillofacial imaging.